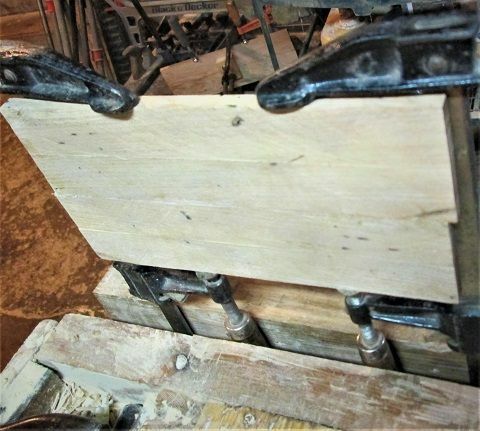 Getting panels made, then cleaned up out of the clamps.. 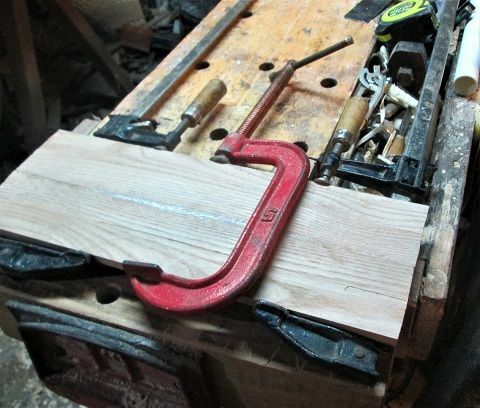 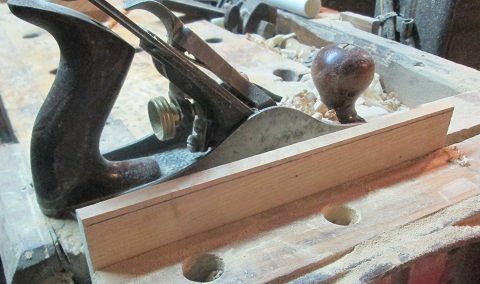 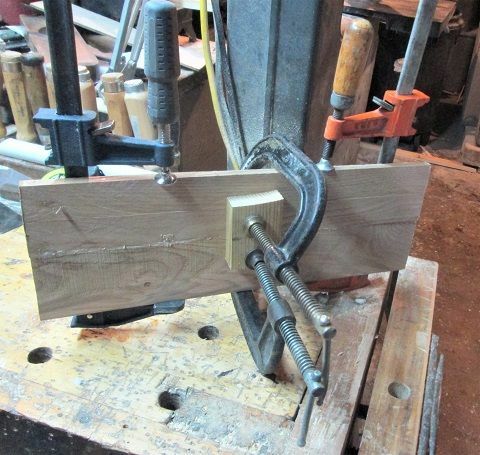 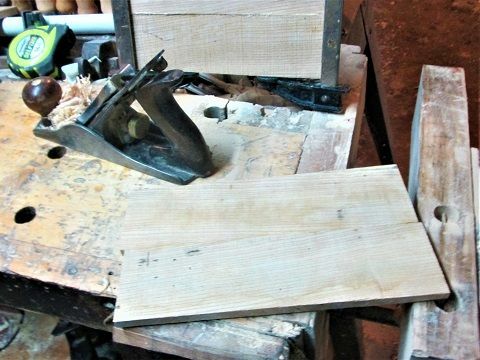 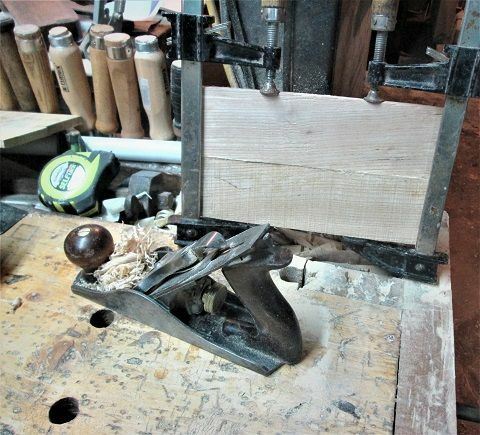 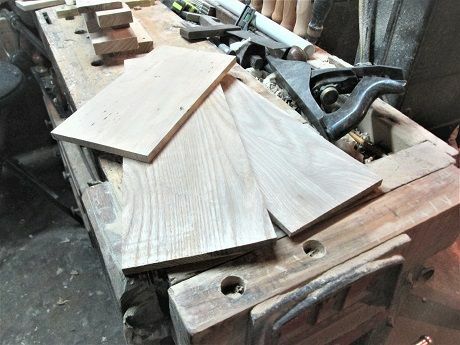 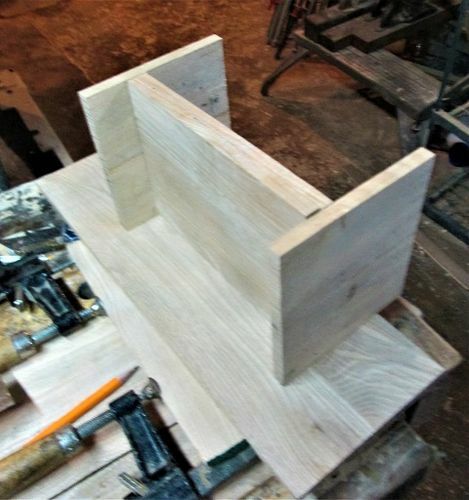 Started with this, and cleaned it up..
Sander and planes to get things flat and almost smooth…reused the clamps..
#4 was jointed and clamped up..
Take one of each, make a cut in the center…. 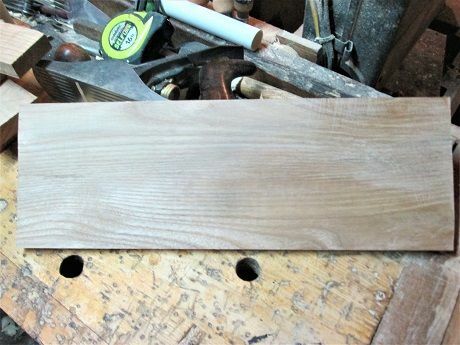 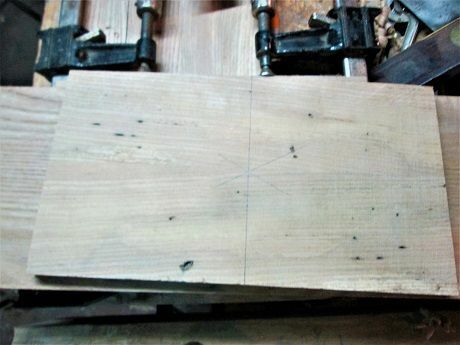 #4 was having issues about being cut square…still had one edge with a slight curve…..had to joint an edge on the second long panel, to match the first’s height..